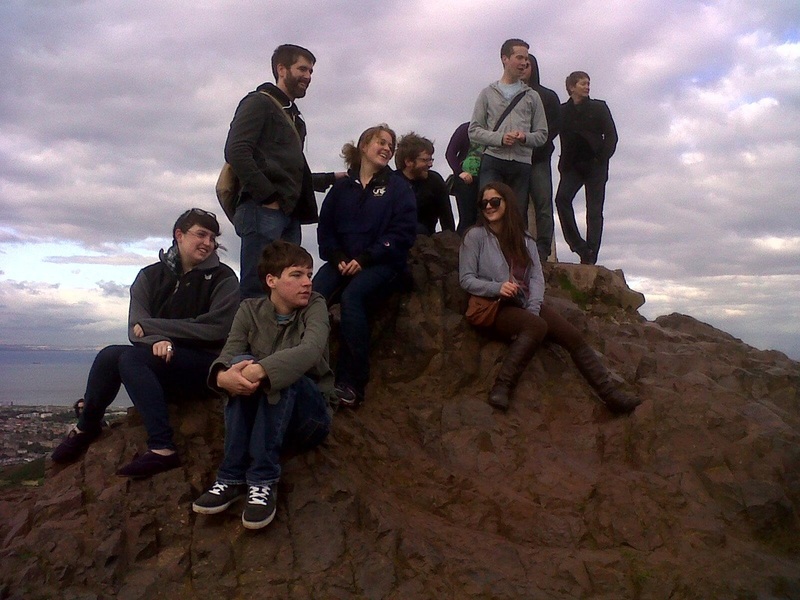 Learn how the Edinburgh Fringe works. Including: the history and development of the Fringe; the role of Fringe Venues, the Fringe Society, press, audience, and productions at the Edinburgh Fringe; meet and talk with managers in a variety of these roles; attend special hands on workshops; and actually spend some time working behind the scenes in one or more of these roles. Highly recommended for management students during their first year at the Edinburgh Fringe. The instructor, Dr. Batchelder, has had experience as producer, playwright, and performer, as well as, running a mid-sized venue at the Fringe for over 13 years. This will be her 21st fringe festival! She has also studied, researched and written extensively on the structures of the Edinburgh Fringe, and other fringes around the world, and currently travels the world doing lectures and workshops on the structures of the Edinburgh Fringe. Offered specifically for Drexel University students to fulfill their summer co-op requirements, but flexible enough to allow opportunities to students from other universities. 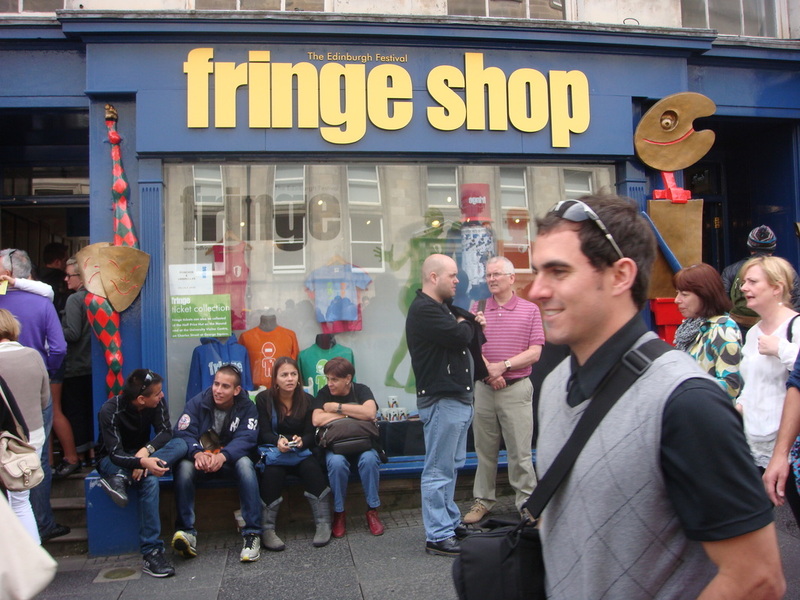 Fringe University maintains a database of potential companies to work with during the Edinburgh Fringe. To keep with current visa laws, most of the positions are with companies performing at the Edinburgh Festival Fringe. Students must interview with Fringe University before matching begins. Once a student is accepted into the Fringe University co-op program, Fringe University works on matching the student up to a performing company. There may be additional interviews between the student and the performing company. In some cases, a student may be matched with two or more performing companies to create a full and diverse co-op experience. University credit may be available for the co-op or internship. Please talk to us about your specific situation to see if it applies to you. Students may also take and receive credit for one of the above courses while on co-op. The instructor, Dr. Batchelder, has had experience as producer, playwright, and performer, as well as, running a mid-sized venue at the Fringe for over 13 years. This will be her 20th fringe festival! She has also studied, researched and written extensively on the structures of the Edinburgh Fringe, and other fringes around the world, and currently travels the world doing lectures and workshops on the structures of the Edinburgh Fringe. Do you have an idea for a class for 2015 or beyond? An interested university approaches us with an idea for a class they want to sponsor. 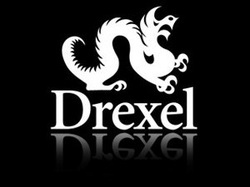 We work with the university to help them organize all the logistics, and we help market the class to outside students. Ideally, our classes, while being heavily attended by students from the sponsoring university, will be open to students from around the world. This also allows students already attending one class through their own university, the opportunity to sign up for a class from another university, if they so desire. Since universities generally sponsor classes in their expertise, students can experience classes that they may not be able to take from their own university. The sponsoring university will be the accrediting body for the particular class they are sponsoring, as well as, cover certain expenses for that course (like the instructor, and any assistants). (Depending on the situation, insurance and other logistics may be done through the sponsoring university.) Fringe University will arrange housing, classrooms, field trips and other logistics. The instructor and Fringe University will collaborate to find the best festival experiences (field trips, shows, guest speakers, etc.) to best teach the material. Fringe University also markets the class to other potential students. Students pay tuition and receive credits from the sponsoring university. The instructor, Dr. Batchelder, has had experience as producer, playwright, and performer, as well as, running a mid-sized venue at the Fringe for over 13 years. She has also studied, researched and written extensively on the structures of the Edinburgh Fringe, and other fringes around the world, and currently travels the world doing lectures and workshops on the structures of the Edinburgh Fringe. 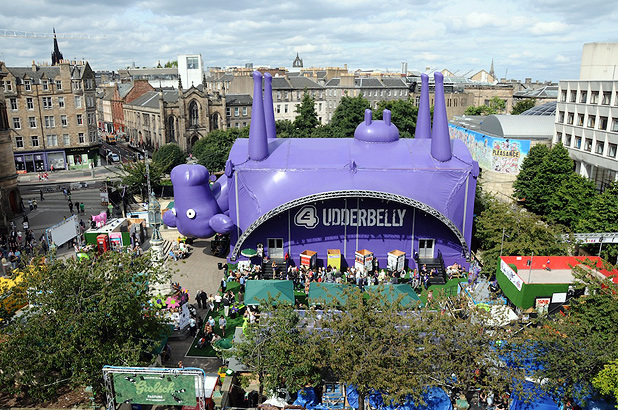 Image from The List showing the upside down cow venue - "Udderbelly." 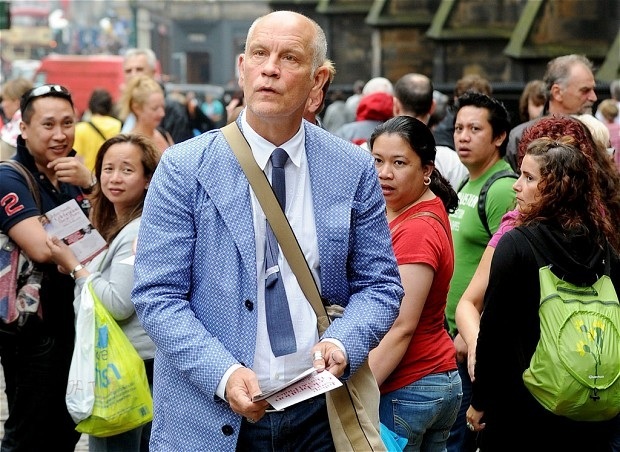 Image from the Telegraph showing John Malkovich flyering for his show at the Edinburgh Fringe. THTR: Edinburgh Fringe Theatre: Let's Go! 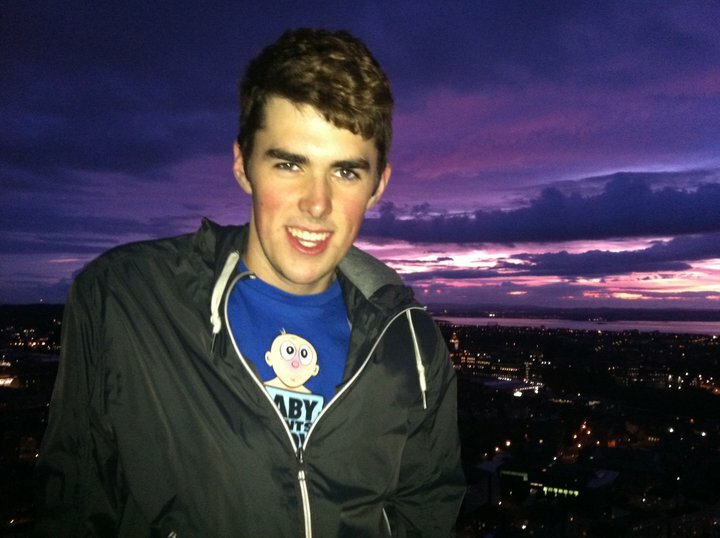 Edinburgh Fringe Theatre: Let's Go! 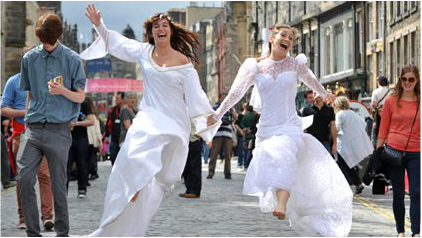 exposes students to the variety of performing arts productions at the Edinburgh Festival Fringe. Through research, discussion and attendance at theatrical productions, students will enhance their abilities to discuss, evaluate and enjoy theatre. Recommended for those interested in Theatre, Dance, Music or other Performing Arts fields, as well as, those interested in English or similar subjects. Also, recommended as a second course for management students. The instructor, Dr. Batchelder, has her Ph.D in Theatre from the Ohio State University, and has had experience as director, producer, stage manager, playwright, and performer (both at the Edinburgh Fringe and elsewhere). She also founded and managed a mid-sized venue at the Edinburgh Fringe for over 13 years. She has taught a myriad of different theatre courses over the years, such as, Intro to Theatre, Acting, Stage Management, and Theatre History. A course for independent minded students to help them reach their unique marketing, management or research goals. Each student will plan a course of study in advance with the professor integrating individual and group experiences, readings and research to reach their specific goals. Students in the class will meet together regularly to share and experience learning together. Highly recommended for management students during their second year at the Edinburgh Fringe, or students in majors not covered with another specific course, and wanting to create a highly individualized experience. 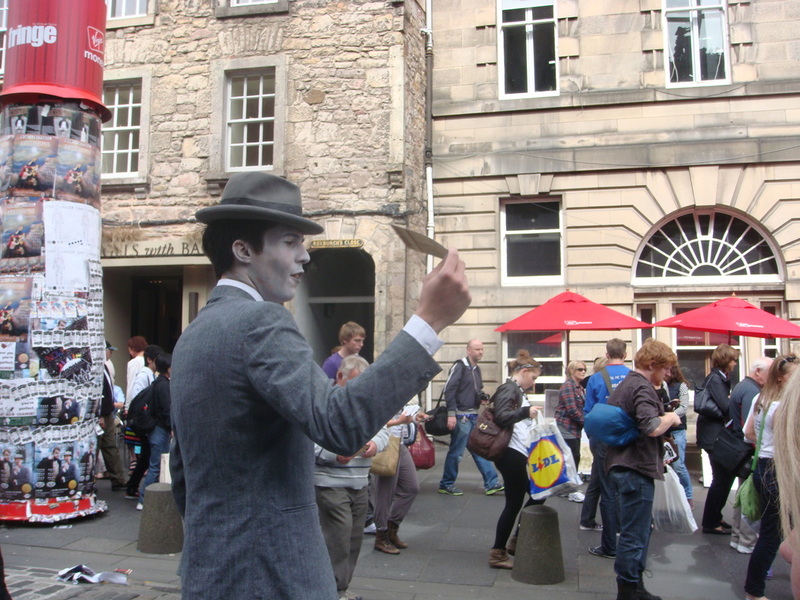 Image from the Guardian taken on the Royal Mile during the Edinburgh Festival Fringe.